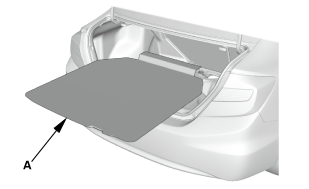 Detach the trunk side trim panel (A) as needed. 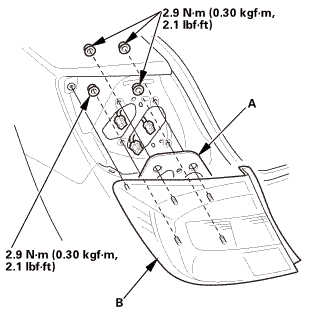 Remove the gasket (B) from the taillight. 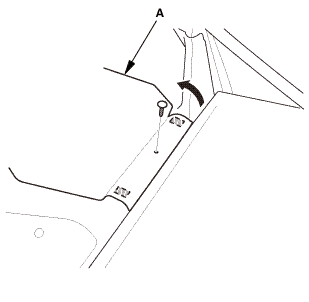 Turn the bulb sockets (A) 45 ° counterclockwise to remove the bulb sockets. 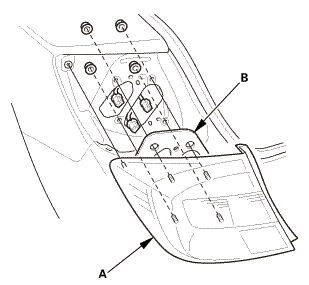 Turn the bulb sockets (A) 45 ° clockwise to install the bulb sockets. 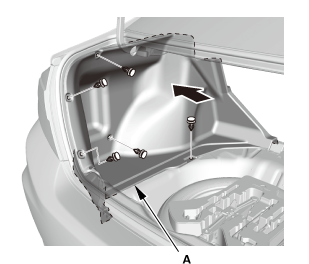 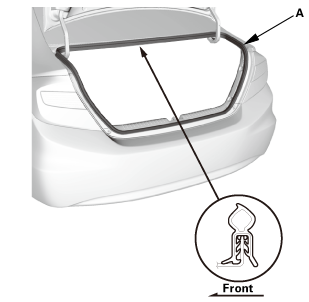 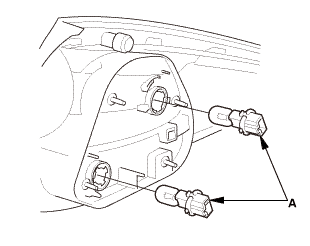 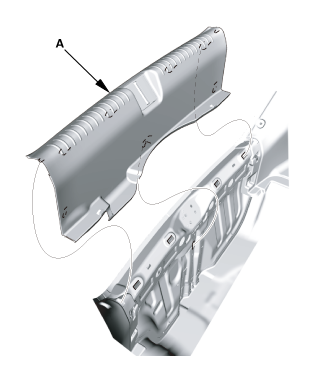 Install the gasket (A) to the taillight (B). NOTE: Inspect the gasket, replace it if it is distorted or stays compressed.